I’ve just about commited to running to work tomorrow! I say ‘just about’ as I’m too nervous to full commit to you guys.. But all my getting ready stuff is at work already so it’s pretty much all go! The weather turned today and the cold cold heavens opened for my cycle home. I’m praying the weather plays nice tomorrow morning.. 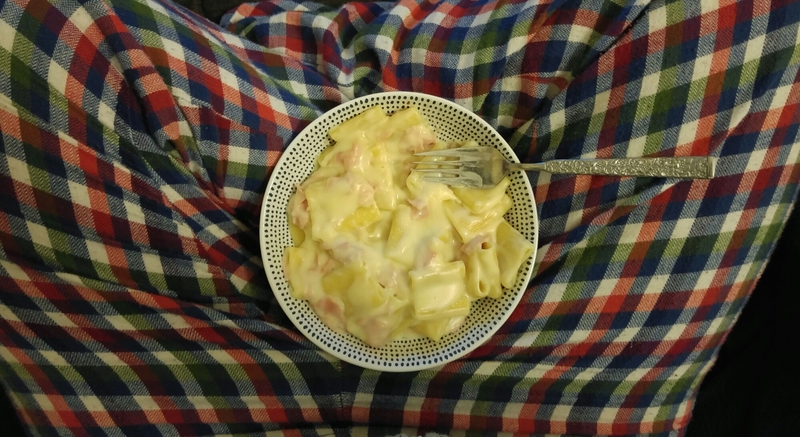 I had a massive bowl of pasta this evening whilst tucked up in my PJs – wish me luck! !